The NHS England Primary Care Digital Transformation programme has launched a Digital Nurse Network in February 2019. Find out more through this blog and webinar in March. 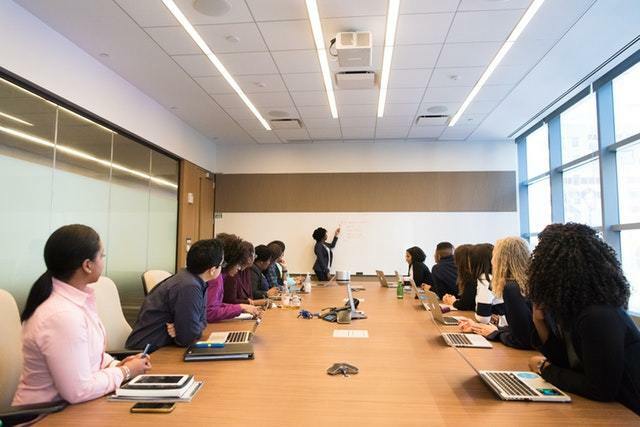 4 tips to gain influence in your organisation. Latest insight from the Kellogg Insitute. A new article from a Kellogg School of management study on the differences between female and male networking. 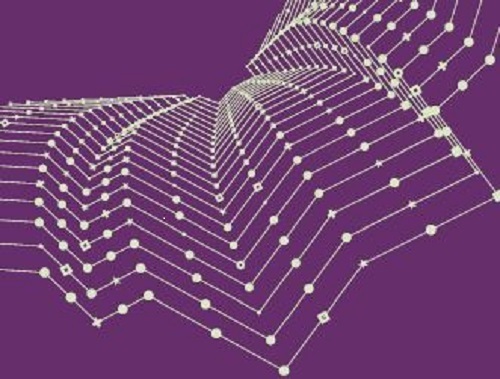 New research from the Kings Fund to understand the key elements of implementing large-scale change involving digital technology in the NHS. In this webinar we’ll introduce you to the NHS England’s Sustainable Improvement team Impact Framework, The webinar will help you to identify the challenges and opportunities inherent in evaluating the impact of your network, explore evaluation principles and practices that can underpin the work of your network. A Kings Fund Report on social prescribing. Video interviews with clinicians, patients, We Nurses and Symplur showing ways to analyse social media to transform healthcare. Essential reading for all health and social care staff on the impact of Digital Health. What's your return on socia media? A simple overview by Leigh Kendal of how to make your social media count. Blogs are one way to share the story of your network, Marie Ennis - O'Connor provides expert insight to help you blog well. How can we change healthcare culture to benefit our patients? The #TheatreCapChallenge shows how a social media campaign can build a network around improving patient safety. A new blog exploring the need to learn lessons from the past when moving to primary care models for the future. A thought provoking blog from Professor Becky Malby reviewing social prescribing, collaboration and reverting to a medical model. A report from the Kings Fund on the role of volunteers, useful to consider in relation to your networks. A useful link to the online version of the new Long Term Plan for all networks within or who partner with the NHS. What can we learn from the new social movement for volunteers? A blog highlighting the Helpforce innovative approach linked to the NHS Plan on building a social movement at pace. A Kings Fund blog on volunteering as a social movement. The role of volunteers has been flagged up within the new NHS Long Term Plan with the expectation that a new wave of at least 25,000 new volunteers will be engaged. Could volunteers be part of your network for change? Report from the Health Foundation - Ten lessons for getting the clinical community approach to work in practice. A radical new programme of online courses for those involved in health and social care from the sustainable improvement team NHS England. No-one in my network seems to care, what do I do? In this webinar for Kaleidoscope Health & Care, Jocelyn Cornwell from the Point of Care Foundation shares advice on how to run a successful network. Useful short read on capabilities to develop and become an effective leader. A short vlog to showcase the first 6 months of the NHS Digital Academy and highlight what the cohort 1 network has been pioneering and co-creating for the NHS. This free Kings Fund online event will explore the potential impacts of new technology on the NHS estate and provides background discussion to the NHS Digital Academy blog series. Welcome to the Source4Networks October Highlights newsletter, bringing you the latest in the world of networks for health and care. A webinar led by acclaimed change leader Dr Helen Bevan on the role that networks can play in delivering effective leadership in today’s health and care landscape. The social sector has a lot to learn from the innovation network that has emerged from the post-thanksgiving global giving movement. An interesting international paper which covers social movements and networks with purpose. The report demonstrates what is required to deliver the digital healthcare agenda. Published in October 2018 the Department of Health report looks at a range of issues related to digital health including networks to drive change. 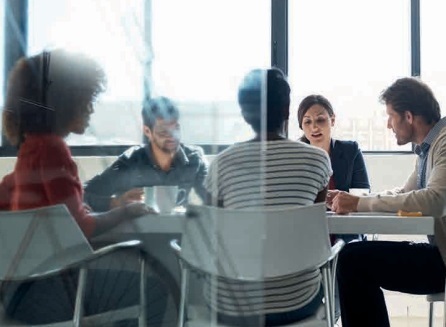 The McKinsey report highlights that to build and lead an agile organization, it’s crucial senior leaders develop new capabilities to transform themselves and their networks. The Public and the NHS - What's the deal? The King’s Fund has been exploring how the public views its relationship with the NHS. 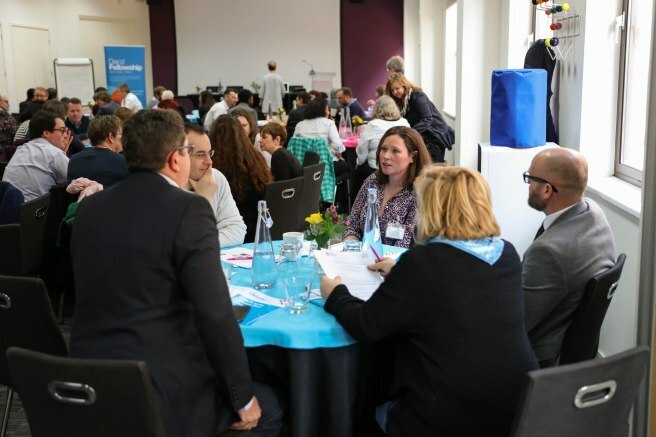 This report supports the online event looking at patient involvement with the NHS and would enable network leaders to consider how patients can be collaborative partners within networks. Patient and Public involvement - where next? The King’s Fund recently published a report arguing that patient and public engagement is still seen by some in the NHS. The free online event covering this topic will be invaluable to networks collaborating with patients. Welcome to the Source4Networks platform! This is the second video in the Source4Networks introduction series. In this video we look more closely into Networks - How do we join them? and how do we set them up? Peter Senge, Hal Hamilton, & John Kania's research highlights the key skillset required as a system leaders to bring about change and would be useful reflection for network leaders. This study explores Learning health systems (LHSs) as a means to accelerate outcomes, improve care delivery, and further clinical research. Detail is provided of the process of codesigning, with all relevant stakeholders, an approach for creating a collaborative chronic care network (C3N), a peer-produced networked LHS. In addition to improving patient care, the aim of integrated care – and of the proposals set out in the NHS five year forward view – is for health care organisations to work more effectively across boundaries. The latest blog from the Kings Fund explores why this may be complex. Resources from the first network leadership webinar for 2018 presented by Richard Taunt and Danny Ryan of Kaleidoscope Healthcare on the 14th May. The 40 minute webinar explores key aspects of building networks and releasing trapped knowledge. A TED Talk by Professor Tina Seelig to spark conversations in your network on the ability to create opportunities linked to your purpose. Focal Point event consisting of a series of short guidance videos and members of the Sustainable Improvement Team (SIT) ‘occupying’ the Community space on S4N throughout the day to respond to your questions, thoughts and ideas to help you make the most effective use of the platform. Through a unique slice of history this article by Ann Christiano & Annie Neimand demonstrates simple tools for communication that would work equally well in networks to drive change. Useful resources for communities of practice drawn from the Source4Networks platform. 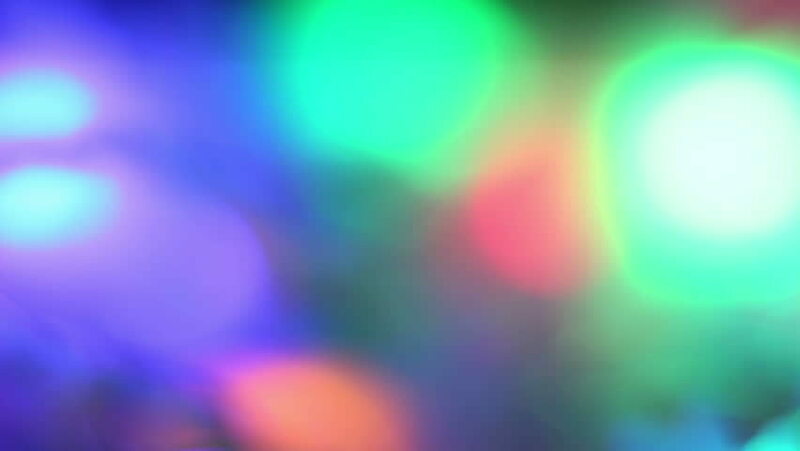 How can change agents support your network? Networks rely on their membership to drive change and address wicked problems. This blog reviews healthcare literature to understand what super powers change agents have and why you would want them in your network. Useful knowledge management resources drawn from the Source4Networks platform. ‘Building the plane while flying it’ - Getting networks off the ground: lessons learned from a year in the life of a new national community of practice. Are you in the process of setting up a new network? Are you wondering where to start with this seemingly daunting task? 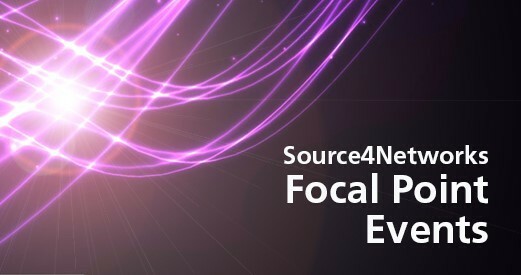 This webinar – the latest in the Focal Point series from Source4Networks – could be just what you need to get you off the ground. Does collective impact really make an impact? 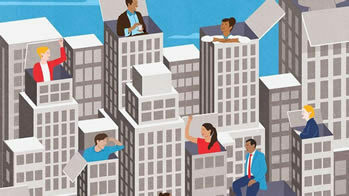 An insightful article by Sarah Stachowiak & Lauren Gase, which reviews eight findings from a recent study of collective impact initiatives, including their effect on systems and population-level outcomes. Whilst not directly linked to networks the findings highlight useful tools to bring about change. A follow up evaluation report from our case study on the co-creation network. Worth reviewing to understand how to gain impact from a diverse range of clinical and patient inspired networks and communities of practice. A ground breaking study into networks of change agents in the NHS by Julie Battilana and Tiziana Casciaro. The authors studied 68 initiatives for one year after their inception and discovered striking predictors of change agents’ success. The short story is that their personal networks—their relationships with colleagues—were critical. The article reviews in depth what worked to bring about change in the NHS. An international article exploring why learning networks are one of the most effective ways to accelerate learning and strengthen coordination across the social sector. Learning from this article could be applied across the UK health and Social care sector. Integrated care networks in the UK/International. Useful resources drawn from the Source4Networks platform. This commissioned Kings Fund report builds on the overview of the Montefiore Health System published in April 2018 and explores building primary and community care, managing patients with complex needs, supporting infrastructure, and elements of a high-performing system. Useful to explore integrated care system in the USA and compare with the new care models and network leadership in the UK. A curated playlist of videos on integrated care by the FutureNHS collaboration. These videos would be useful to spark a conversation within your integrated care network. Videos cover case studies and more in-depth knowledge of new care models throughout the UK. The article taken from the Stanford Social Innovation Review offers a unique approach to solving wicked problems. Primary care networks in the UK/International. Useful resources drawn from the Source4Networks platform. 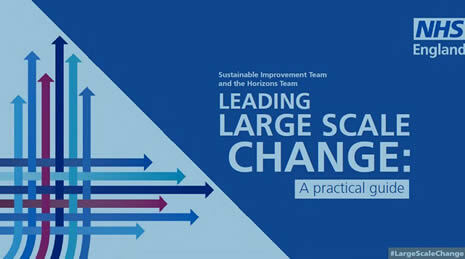 NHS England’s Sustainable Improvement team is holding a series of webinars on facilitating large scale change. This free programme is aimed at all those working in health and care organisations who are facing large scale change challenges and all those interested in developing large scale change skills. Registration and more details can be found within the article. Following the successful launch of the Leading Large Scale Change Guide and Virtual Academy of Large Scale Change (VALSC) webinar series, NHS England’s Sustainable Improvement (SI) Team is now offering targeted large scale change support via face-to-face masterclasses. This one hour webinar with renowned expert in networks and knowledge management, Chris Collison, offers a highly practical exploration of one of the critical dimensions of effective networks – enabling and encouraging members to capture and share their knowledge. NHS England has recently changed the name of accountable care systems to integrated care systems, which describes more accurately the work being done in the 10 areas of England operating in this way. This Kings Fund updated long read looks at work under way in these systems and at NHS England’s proposals for an accountable care organisation contract. This short 10 minute read covers knowledge management in networks and supports the next Source4Networks webinar July 2018. Relevent references are highlighted to aid network leaders in their practice. Source4Networks has created a series of exciting events designed for current and aspiring network facilitators, leaders and enthusiasts. A monthly 'digest' of what's new on the S4N platform, from practical tools, events and case studies, to insights from thought leaders. Primary Care & Scale - Who should we be collaborating with? A ten minute read on the current status of primary care, potential developments and a focus on the need for collaboration. The blog links to additional content on the site looking at primary care in the UK, Canada and the USA. Pinnacle Midlands Health Network is a New Zealand primary health care innovator and development company working on behalf of Pinnacle Incorporated. The company supports the sustainability and further development of leading edge primary health care services. They exist in order for providers and clinicians to have the tools they need to deliver services that create the very best health outcomes for their patients. Healthcare systems worldwide are striving to provide patient pathways that deliver benefit, quality and contain costs. Networks are considered a way to manage care differently and work across existing boundaries. A literature review was undertaken to identify key factors in Canada and USA research which could inform network practice in the UK. The research study examines key processes and supportive and inhibiting factors involved in the development, evolution and sustainability of a child health network in rural Canada. Findings from the paper contribute to understanding of inter-organisational and cross-sectoral health networks. It is recommended reading in full to support the blog on ransformational change, integrative leadership and international networks. Reforming healthcare systems on a locally integrated basis: Is there a potential for increasing collaborations in primary care? Over the past decade in the province of Quebec, Canada, the government has initiated two consecutive reforms. These have created a new type of primary healthcare - Family medical groups (FMGs) and Local healthcare networks (LHNs) across the province. This paper analyzes the impact of the reforms and findings are shared. Review of this research is recomended in conjunction with the June blog on Transformational change, Integrative leadership and International networks. The article was one of the first studies of integrative leadership behaviour. It raises important differences in the behaviour of leaders in public sector agencies and in networks with an international perspective. We recomend review of the paper in conjunction with the June blog on Transformational change, Integrative leadership and International networks. General practice is percieved to be in crisis by major think tanks and change is needed. The new report from the King Fund looks at innovative models of general practice and identifies key features for designing effective GP services in the future. Five attributes that underpin general practice: person-centred, holistic care; access; co-ordination; continuity and community focus are outlined. A useful report to provide insight into the enviroment where networks could be deployed. An international perspective on transformational change, which sets the context for networks to grow, thrive and deliver value. It outlines that top-down approaches to health and care transformation focused on management-led governance & structural change rarely deliver the intended outcomes. Lasting transformation requires the relentless hard work of local operational redesign. Networks are ideally placed to provide the structure required. The article covers a diverse range of online communities from patient forums to peer to peer support platforms. It provides an excellent background read to the Network Leadership MOOC content and offers comprehensive advice for anyone intending to set up an online network. Slideshare linked to the podcast on cultivating a network leader mindset. Based on 15 years of research on a range of successful networks, the podcast uses detailed case studies to illustrate research based principles and offers insights for leaders to ensure their collaborations can have an impact that is dramatically greater than the sum of the individual parts. A Spark summary collated by Q members on the discussions around network leadership.